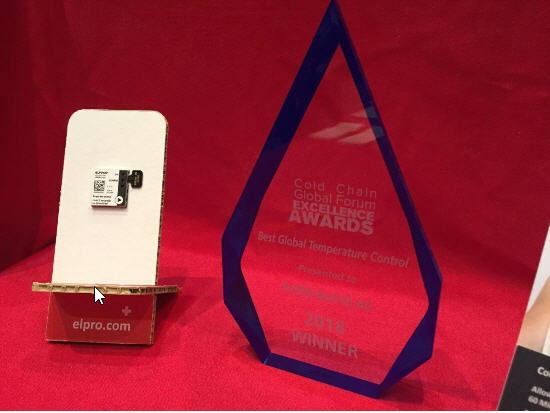 This is the "Oscar of the cold chain industry"
Inexpensive multi-level indicator with wireless read-out functionality per Smartphone App. Perfect for temperature and stability monitoring of pharmaceutical products or clinical studies along the entire supply chain ! 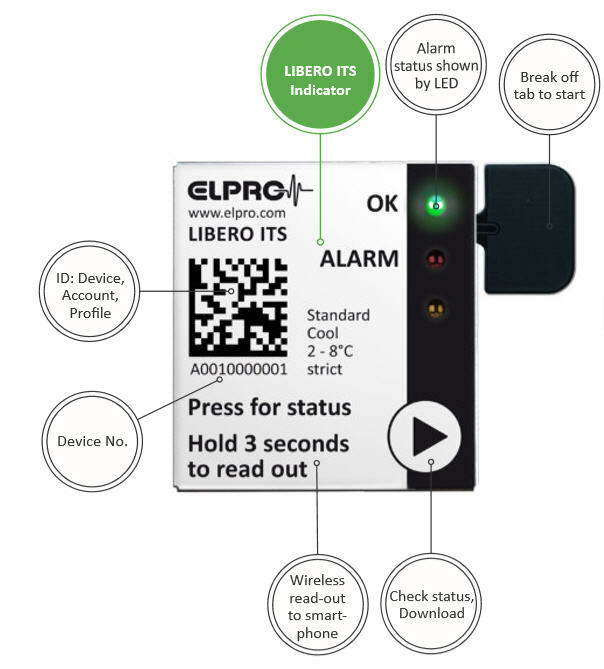 LIBERO ITS is a device for continuous temperature monitoring and calculating remaining stability budget of pharmaceutical products or clinical studies along the entire supply chain. It is thin and small enough to go on clinical kits and sales units of pharmaceuticals and durable enough to stay on the product during its entire shelf life for up to 4 years. LIBERO ITS manages deviations for up to 6 alarm levels. The alarm status is always visible and can be extracted wirelessly per Smartphone app. 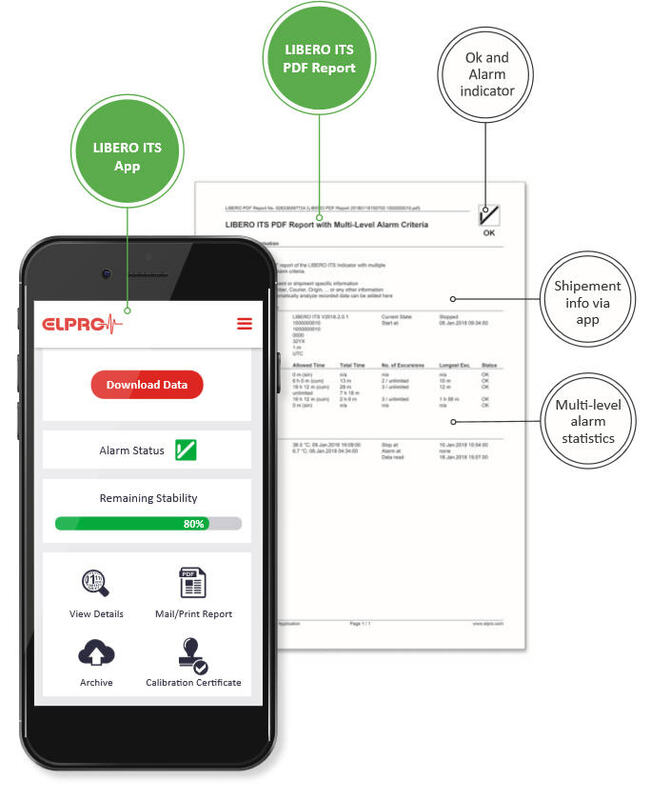 Follow all your shipments in the same database: LIBERO ITS is compatible with liberoMANAGER, ELPRO’s cold chain database. an evaluation report with embedded changing protected data. for the long-term preservation of electronic documents (PDF/A). Indicator configuration and Indicators with ELPRO defined standard configuration and label. additional analysis software Customer-specific configuration and hardware options for larger quantities. Wireless read-out of statistics possible with Smartphone app. trigger customer specific workflows in cold chain processes.